When it comes to attention to detail, Snyder Entertainment puts a lot of thought, work and preparation into delivering the best services; providing the basis for great events every time. For the past couple of months we have been actively launching new custom options for our clients; cutting edge, trendy, modern, and easily affordable services that will elevate any event. As technology changes, so do the needs of our clients and we want to be able to not only meet your needs but exceed them. This doesn't just mean in our photo booths or our DJ equipment, it also applies to our lighting as well. Snyder Entertainment has worked hard to develop an amazing arsenal of lighting options that we can transform your event with. Our custom designed gobo's are some of our most requested lighting fixtures. 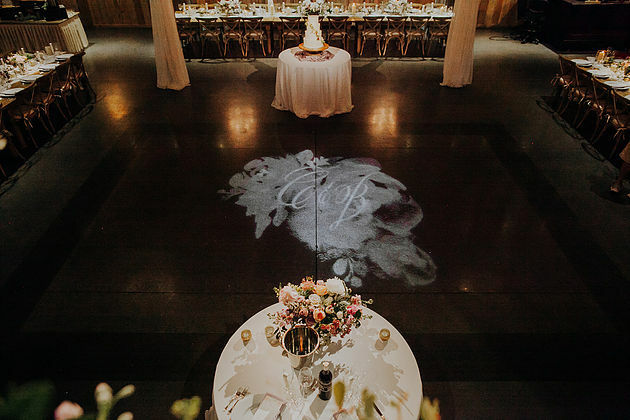 We love when our wedding clients send us their invitations so that we can transfer their monogram into a reception spotlight. The same goes for our corporate clients and private parties as well including logos, specific products, award shows, school mascots, and various themed graphics. 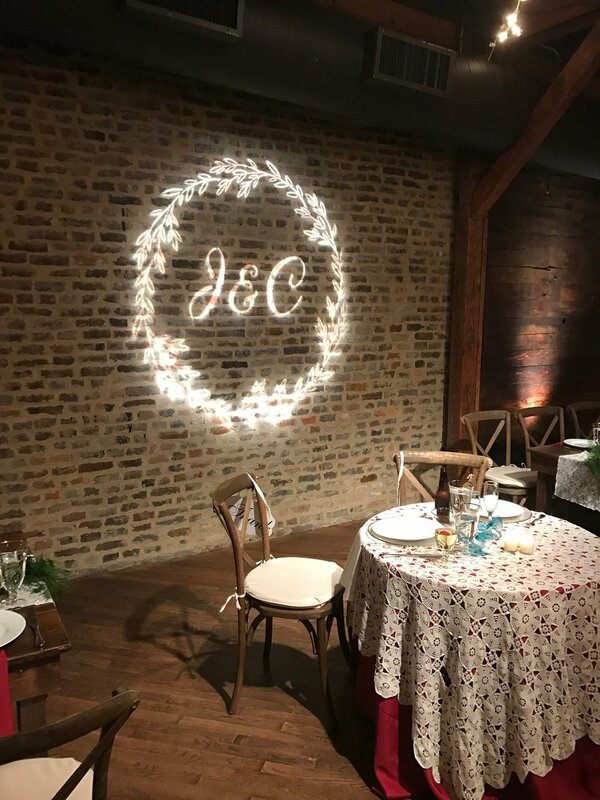 Our custom gobo lighting is always a huge hit, and even though every event is different, all of our designs are custom made, so no two are ever the same! Below are some of our most recent custom crafted monogram gobo designs; each has it owns personality to reflect the client and their style. Take a peek at all of the creatively crafted designs, and get inspired for your upcoming event!..